Aren't you just drooling?! This summer I am loving big scarves, big rings, and throw back hats. What trends are you loving? Dear Fairy Godmother, please turn my closet into a magical portal to Anthropolgie where everything is free and always my size. Great post!! Love scarves & those rings are gorgeous. Oh those scarves are wonderful! I love your style here, wow! I'm sorry but you'll just have to suffer like the rest of us and get really happy and then really really sad when you see all that Anthropologie has to offer. Haha, just kidding. One day you'll be able to afford all the Anthropologie you want. And I'm loving fedoras and ballerina flats. ooo..oooo...I want the same portal!! ;) I do love scarves. This summer I'm obsessed with 40's-50's style "housewife" dresses. I can't get enough. i have a mighty scarf obsession!! i will take one of each, please! and thank you! ...if only the fairy godmother would grant our wishes... those finds are absolutely gorgeous! loving the flower ring! i loooove big rings but my knuckels are always too big for rings to fit over! haha. so sad. a little something for you on my blog today! I can't to scarves in Texas except in winter or when I plan to be inside only! But I've bought sever and stowed them away. Big rings are up my alley too. Great picks! Those rings are gorgeous! I've been dying for a big chunky druzy stone right with a gold band. Still looking for the perfect one. I've been spending FAR too much time on Antrho's website lately... I especially love the rings you've featured -- every one of them! 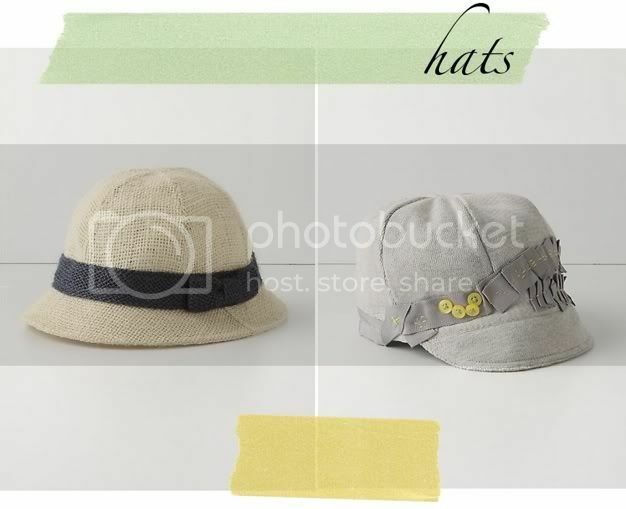 i'm loving straw hats right now -- really like the one you featured! and i love how you added the descriptions to the photos - so pretty! photoshop? Scarves are my biggest addiction, though I don't nearly have enough spring/summer ones. I got into the habit of wearing them when I was in high school and my voice teacher told me I should always wear one to protect my throat (apparently, keeping it at the same temperature helps to keep colds away). After that, my scarves and I were inseparable. There was one year, I landed 10 different scarves from coworkers and students since they noticed how often I wore them. And these from Anthro? HEAVEN! That yellow and grey hate is ADORABLE!!!! oh dear. andrew manion is my brother, who signed into my blogger the other day! ugh. guess i've been commenting all over the place as my broski! haha... but really, i do love your blog! Hope you are having a splendid weekend dear. 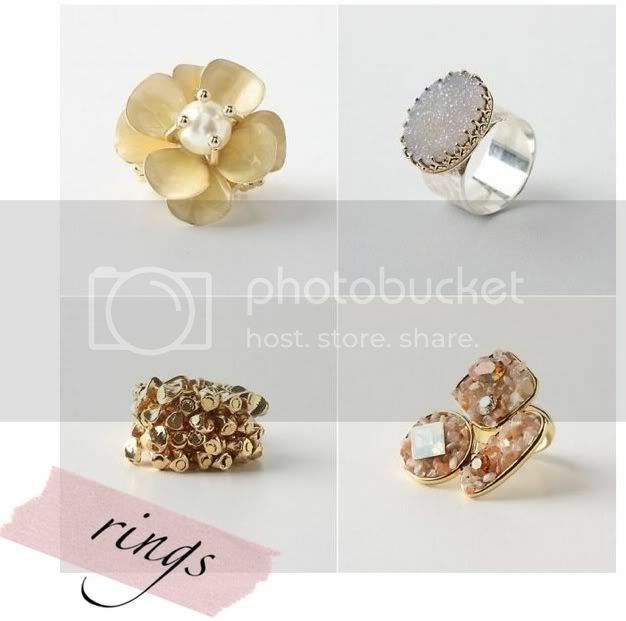 yep, you just got me drooling... specially over the rings :) could I borrow you Fairy Godmother? Hello Blair! Back from San Fran and trying to catch up on all that I missed in the lovely blog world. Yes I wish that magic portal were in my room too! Ugh that'd be amazing! I love the scarves you choose, especially the ruffle one in the second photo. Yum. I love wearing scarves in the summer, it adds a great touch. Please send me your anthropologie god mother if you find her! I've just started reading your blog and love it, thank you!